In true Filipino tradition, this post is fashionably late. Although Filipino American History Month is over, perhaps the timing of this post will help the celebration last longer. 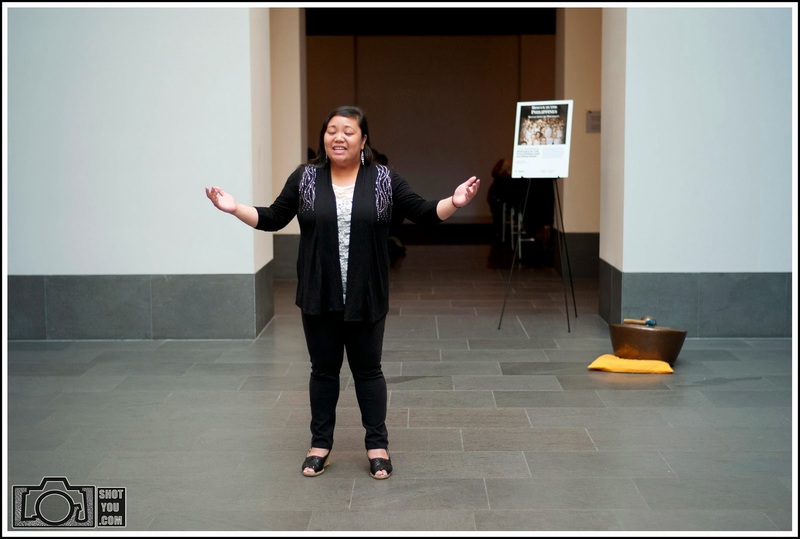 To kick of FAHM, San Francisco's Asian Art Museum hosted "Farms to Tables: Filipino Americans Then and Now". The event, centered around food, had an excellent balance of history, contemporary issues, and cultural presentations. It showcased the essental role of Filipino Americans in America's farm labor movement. This coincides with Governor Brown's signing of Assemblymember Bonta's Filipino American Farm Worker Bill, AB 123. Although Filipinos, like Larry Itliong and Philip Vera Cruz, were instrumental in the movement's success, they are often overlooked in the history books. This bill ensures the Filipno American effort is rightfully included in California curriculum. Eating healthy was also a big theme. We Filipinos love our lechon, crispy pata, and chicharon but it's important to remember we have healthier options. The American Heart Association put together a cooking lesson and handed out healthy recipes. I will have to try this soon! I also got a chance to meet PJ Quesada from Ramar Foods and The Filipino Food Movement. Ramar Foods is a family business that manufactures and distributes a lot of classic products. Every Filipino American has to know and love Magnolia Ice Cream! According to PJ, Whole Foods carries their ready-made dishes like chicken sisig, lumpia, empanadas and more. 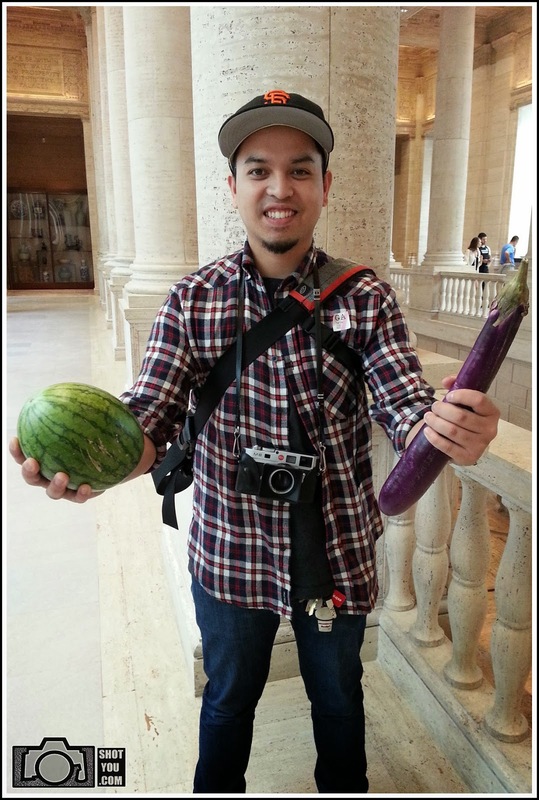 Their non-profit, The Filipino Food Movement, works to promote Filipino Cuisine. It's true that outside of our communities, Filipino Food is still very foreign and unknown. A lot of people have no idea how delicious and diverse our food can be. 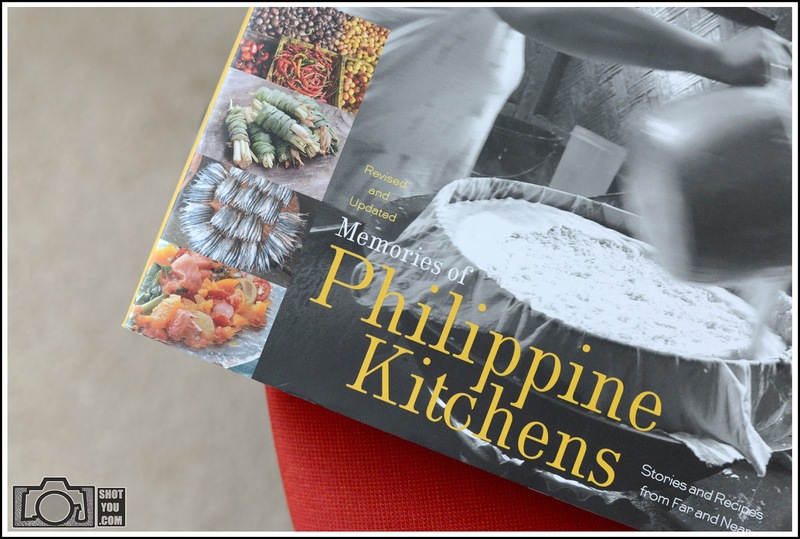 PJ also recommended I check out Memories of Philippine Kitchens. I recently picked it up. Stay tuned for a in-depth post. Lastly there were cultural performances and workshops. 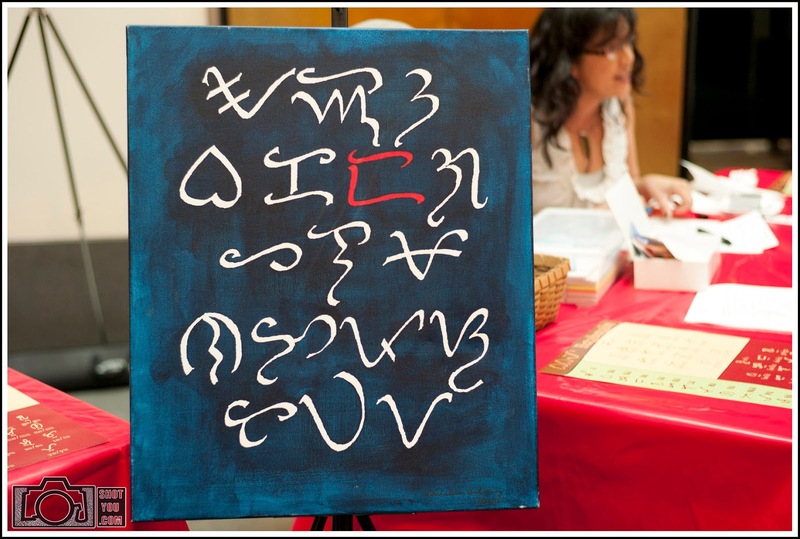 I got my last name written in baybayin, the pre-Spanish Filipino script. Above is an image of Jay Loyola of Bayanihan Philippine National Folk Dance Company. The singer, Tracy Sarmiento, was amazing as she sang in both Tagalog and English. Because food was a big theme, there was a large altar with filled with fruits in vegetables commonly found in Filipino dishes. There was okra, eggplant, squash, watermelon, tomatoes, and much more. Guests were invited to bring some home. I was actually the first person to pick from the altar. As soon as I picked up that eggplant, it was over. All these lolas [tagalog for grandma] busted out shopping bags and cleaned house! They looked like they just came from the palengke [public market]. 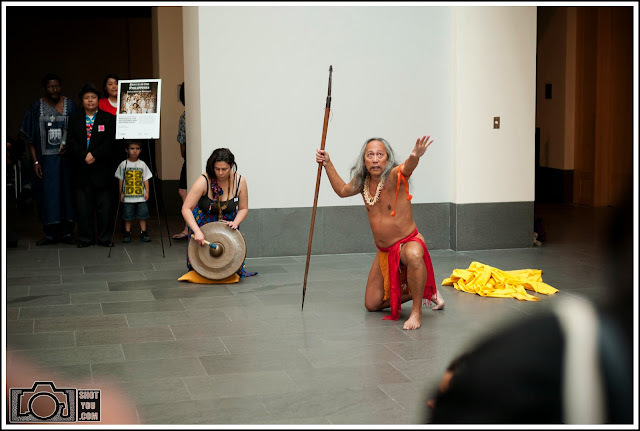 The entire event was great and inspired me to continue learning more about Filipino culture. It's events like this that really get me excited and motivated. I'm very glad I was able to make it out.